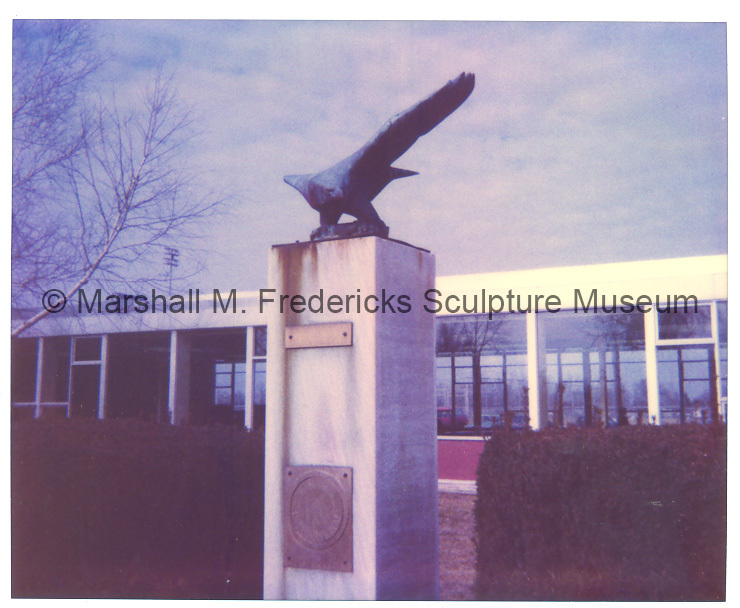 Marshall M. Fredericks Sculpture Museum | "American Eagle (Ann Arbor War Memorial Eagle)" Front view with plaques. Madison High School. Madison Heights, Michigan. “"American Eagle (Ann Arbor War Memorial Eagle)" Front view with plaques. Madison High School. Madison Heights, Michigan.,” Marshall M. Fredericks Sculpture Museum, accessed April 22, 2019, http://omeka.svsu.edu/items/show/25.